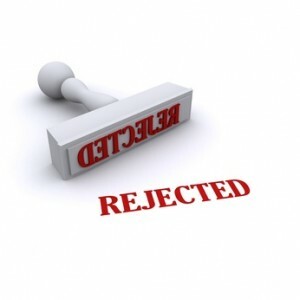 Don denied an applicant based on weak credit. The applicant offered a bigger security deposit. Now Don is thinking of approving his application. Karen is a landlord in a similar situation. Her non-qualifying applicants offered to pay an entire year’s rent up front. Karen decided to accept the deal and signed the lease. Another landlord reports that a non-qualified couple is pleading with her to rent to them, saying they have not found another rental that meets their needs. The woman has good credit; the man has terrible credit. The landlord is thinking of putting only the woman’s name on the lease, with a substantial cash security deposit. What is wrong with each of these decisions? In the first example, Don is allowing a larger security deposit to cloud his judgment. First, he lives in Massachusetts, where landlords are limited to charging no more than one month’s rent for a security deposit. Next, he is bending his own rules, which is a slippery slope. If a tenant knows he’ll cave on one aspect of the tenancy, they may be likely to push other rules, as well. Is the rent really due on the 1st? Wouldn’t it be okay to move some extra family members into the rental unit? Finally, treating every applicant equally is important to avoid charges of discrimination. Let’s say the next applicant also had bad credit and Don refused to sign a lease with them. They might charge that Don showed preferential treatment to the first tenant and that they are being discriminated against, due to their race, religion, family status, gender, age, etc. In Karen’s case, one might think that paying a year’s rent up front would erase any worries about the tenant’s financial situation. However, most strong tenants don’t offer prepaid rent—especially a year’s worth—because they can’t afford it. Karen should ask herself why an applicant with bad credit has that much cash laying around. Have they been scamming other landlords and living rent-free? Have they been evicted? Or are they involved in an illegal cash enterprise? The offer of a year’s worth of rent up front should be a red flag. In the third example, this landlord is asking for trouble. 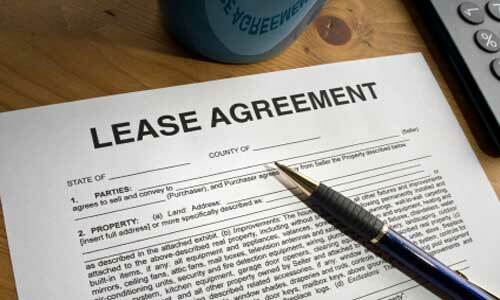 All adult residents should be put on the lease and held liable for the terms of the lease. What guarantee does the landlord have that the female will always be responsible for the rent? What if the couple breaks up and she moves out? The landlord will have a resident living in the rental unit without a lease. Experienced landlords know that sticking to your standards and leasing only to solid tenants who meet your criteria are important steps in building a successful rental business. If denied applicants don’t hear your “no,” just say it again. And louder. And then, hold out for well-qualified tenants. Tenant screening on every applicant, with minimum qualifying credit scores, is a landlord’s best practice. Experienced landlords know that being tough is an important part of their job descriptions. With the economy still suffering and unemployment still high, many prospective tenants’ credit scores have taken a beating. But should landlords take into consideration the difficult economic circumstances of many American families when deciding whether or not to approve a lease application? In other words, should landlords overlook lower credit scores or bankruptcy filings and try to help lease applicants? Certainly, every situation is different. 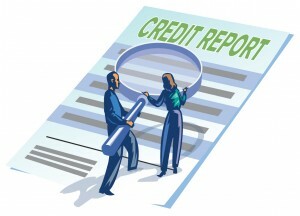 Many landlords will not budge on their credit requirements. Others look at the whole picture, and will pass a less-than-stellar credit score if the tenant has a steady paycheck that more than covers rent and other living expenses. Still others check prior evictions, and if there are none, then they will take a chance on the tenant. And then there are the landlords who aren’t tough enough to say “no” to a prospective tenant with a poor credit history and no steady job. Whether they feel a sense of obligation or feel sorry for the tenant, they sign the lease and hope for the best. Often, they end up losing money, can’t get rid of the tenants and rack up thousands of dollars in eviction fees. Trying to help people is noble, but it’s not a landlord’s job. A landlord’s job is to provide safe housing, to protect other tenants from potential harm, and to earn a profit from leasing property. You may hear sad stories of job loss, divorce, illness, death of loved ones and tough times. There is no doubt that it’s difficult to make a decent life for a family these days, when good jobs are hard to find. Nobody wants to see a family out on the streets. But landlords have to be tough to protect themselves and their sizable investment. Checking tenant credit histories, conducting background checks, and sticking to your minimum qualifications will keep your rental property business strong and sustainable into the future. If you’re not tough enough, you may not have a future in the landlording business. 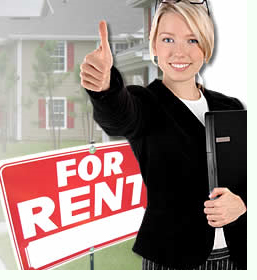 Most landlords and property managers screen prospective tenants carefully. But if you’re new to landlording, you may be wondering if it’s necessary or worth the trouble. The answer is yes! Running credit checks on every lease applicant will give you the peace of mind of knowing your business and livelihood are protected. Here are the basics of tenant credit checks, so you can know what to expect. The Fair Credit Reporting Act (FCRA) requires credit reporting agencies and credit report users to follow strict guidelines. To increase accuracy and prevent identity theft, Congress made changes in 2004 to restrict who may access credit information. 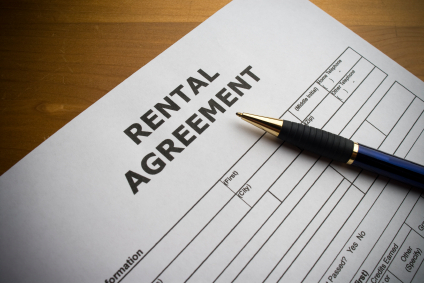 Rental businesses must comply with rules such as operating a separate, secure business office, holding a business license and submitting to an on-site inspection. Landlords who don’t meet these standards may not obtain an individual’s actual credit score. Instead, they may obtain a comprehensive report regarding the applicant’s publicly available information, such as liens, judgments, bankruptcies, social security validation, and criminal records search. In addition, landlords must obtain the applicant’s consent to release credit-related information, and the applicant must confirm his or her information (name, SSN, date of birth and address) before the landlord receives the report. 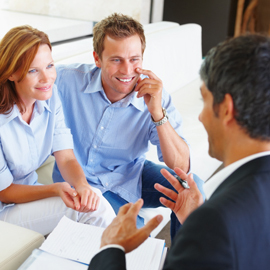 It’s easy and quick to verify a prospective tenant’s identity and credit worthiness. With E-Renter.com, you’ll receive a background report within an hour Monday through Friday, and same day if ordering on the weekend. For property management companies, full tenant credit files, business credit reports and criminal background checks are available immediately online, 24/7. Any credit information landlords receive on individuals must be held in the strictest confidence. If credit information is used to reject an applicant, the FCRA requires that he or she be advised in writing. Using a reliable, experienced tenant screening service is the best way to ensure you are in compliance with all federal and state regulations. Smart landlords always run tenant credit checks and prescreen tenants. They talk to applicants’ former landlords and check for criminal activity. But when the economy is so tough, many landlords find that screening tenants and making decisions on signing leases is based partly on data and partly on circumstance. For example, Wendy has been a landlord for many years, and has “seen it all.” She says that tenant credit scores are as volatile now as she can remember. “Some people with six-figure incomes have been forced to short sell their homes, and have lower credit scores as a result,” she said recently. “I’ve had to look more closely at their credit card and car payment history, and not just their credit score.” For Wendy, renting to people who recently owned and lost a home is less risky than renting to those who are continually late with rent payments or have history of evictions. 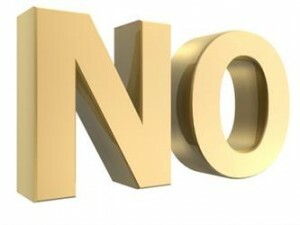 No Need For a Tenant Credit Report? Think Again! What should a landlord do when a potential tenant states they have had their credit report pulled recently and therefore, there’s no need to run another credit report for their lease application? Should they accept the applicant’s report and save the time and trouble? In a word: no. Some tenants might be trying to save money and might not see the need for another credit report. Or, they may want you to know up front that their credit score is low; in this case you can make a decision to continue with your own report or reject their lease application. And then there are those who fabricate their own credit reports, which happens every day to landlords and others who aren’t as cautious as they should be. Fake credit reports are widely available, so don’t make the mistake of accepting any credit report other than one from a trusted service provider. Smart landlords don’t run their rental property business on guesswork. To really know who you’re renting to, always reinforce your policy that a credit and background check will be conducted on every tenant applicant. If, after hearing you won’t accept their credit report, the potential tenant is no longer interested in your rental property, you might have dodged a bullet. Of course, there are exceptions to every rule! In some states, landlords must accept a potential tenant’s credit report if it is no older than 30 days. Other states have legislation that a credit bureau must forward an existing credit report whenever the tenant applies for a lease within 30 days. These laws are designed to prevent tenants from incurring high fees from repeated applications. Landlords have the right to protect their business interests by leasing to qualified tenants. Make sure yours are qualified by conducting a thorough credit and background check on each one–even if they have one in their pocket for you! Short-term leases are becoming more popular in some areas of the country. One trend is that homeowners who sell a home are less willing to buy right away, so while they wait and see what the market will bring, they rent for a while. Another factor is the toll the economic crisis took on renters’ credit scores. Landlords are less willing to take chances on one-year leases, so often a month-to month or six-month lease is a great option. When the economy and job market are both doing well, the ideal situation for a landlord is a one-year lease with a strong tenant. But even though the rental markets across the country are starting to show improvement, many landlords are far from the ideal—and they still need to fill rental units. When credit scores are less than perfect, and home sellers are knocking on your door, looking for short-term leases, it makes sense to adjust your lease terms from one-year to six-month or month-to-month. Month-to-month leases mean that at the end of any month, the tenant can simply move—or the landlord can end the lease. Most leases require notice on each side, but if neither side ends the lease, it continues for another month. Remember, no matter what the length of the lease, proper tenant screening is the most important step you can take prior to signing it. Conduct a thorough tenant credit check and background check and you’ll feel better about offering a lease to short-term tenants.